Warren, Ohio in the mid-twentieth century was a railfan paradise, with multiple rail lines running in every direction. The Baltimore & Ohio's Lake Subdivision (which started out as a narrow gauge line) to Painesville crossed the Erie's so-called freight bypass (the former Atlantic & Great Western mainline) at a location known as BO Crossing in North Warren. By 1981 the Lake Sub was almost totally out of service except for serving the Copperweld Steel plant north of town, and the former Erie freight line was used by Conrail only for local switching. 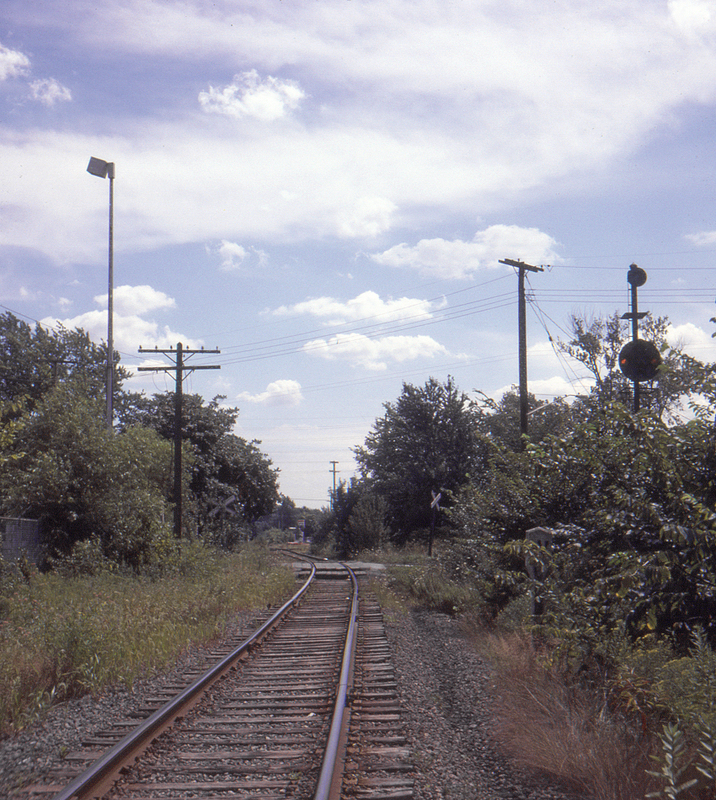 This view is looking north on the B&O from North Park Avenue.